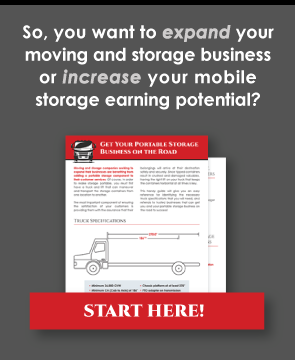 Can Your Moving Company Innovate on a Tight Budget? It is easy to innovate and incorporate the latest technologies when you have an unlimited budget. However, that’s just not reality for the vast majority of businesses. Indeed, the majority of moving company innovations come about because operators have limited budgets and need to seek out creative and innovative ways to streamline operations and generate higher profits with less investment. To that end, the following are strategic tips that work for successful companies seeking to innovate without having to reach out for venture capital and massive loans. A tight budget means that you won’t have oodles of cash to experiment with. As such, you need to identify and concentrate on a small number of key innovations that will deliver the greatest value for your customers while still generating a positive return on your investment. Conducting quality surveys, polls, and forums with existing clients can give you a clear idea of the evolving needs of customers. These are highly effective methods of gaining focus and narrowing down the list of things you can do to improve the customer experience. Most importantly, by “doing your homework” before you move forward, you will be able to invest your resources directly where they are needed. Always remember that scarcity helps bring clarity to the direction your business should follow. Don’t try and reinvent the wheel. Rather, look for ways you can improve the functionality and ways you utilize existing programs and tools. The tools you already use can serve as a foundation to build upon and incorporate new features and functionality. Moreover, don’t feel compelled to purchase a new truck, container, etc. without first determining if you are already maximizing the potential of your existing capital investments. In many cases, there is additional functionality you can squeeze from the investments you have already made. Your competitors are a wealth of information that you should continually leverage for your business’ needs. Monitoring the successes and failures of your competition and the moving company innovations they are attempting is crucial. By determining the reasons for the successes, and the causes of the failures, you can target the use of your resources while avoiding the same pitfalls. Build on what works, and learn from the mistakes of others. Hiring quality freelancers who have the ability and skills to create everything from marketing campaigns to web copy frees up your team’s time and resources to focus on other tasks. Freelancers can create and polish your business’ image in the eyes of consumers and help you establish a brand identity that resonates with your customer base. To achieve the best results, bring your freelancers and in-house teams together. Collaboration saves time, money, and leveraging the skills and knowledge of both teams will generate far better results than having them work independently of one another. Partnering with other businesses and pooling limited budgets can drive innovation forward. It is just good business to work closely with partners who have the same needs as your business. This not only strengthens the depth of your partnership, it allows both businesses to benefit from the innovations you design and implement. Moving company innovations don’t require oodles of money and unlimited budgets to achieve. Rather, strategic innovation happens through the wise expenditure of limited capital. By focusing on improving existing tools and technology, you will deliver the innovative services and solutions your customers need and desire.